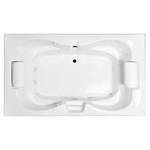 Laurel Mountain Seneca II 71.75-in White Acrylic Hourglass In Rectangle Center Drain Drop-In Whirlpool Bathtub and Air Bath 4272SWA064 - Hairline Crack. Should be easily fixed/patched, Does not leak though. Full body massage with thousands of warm air bubbles from 28 strategically placed high output lateral air injectors powered by a 12 Amp air blower with color-matched touch pad controls. 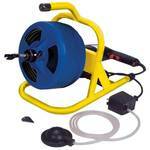 Powerful 13 Amp whirlpool pump with 3 - speed control to power the 10 color-matched whirlpool jets. Pillows not included. VIZIO E-Series 50” Class LED e500i-a1 - Older Model - Small Nick In Film - Non Smart TV. In nice working condition. Does not have app or WiFi functions. Very small nick in film approximately 13" from LH side and 8" down from top. Has 4 HDMI connections and 1 USB. Includes Remote. VIZIO E-Series 50” Class LED e500i-a1 - Older Model - Non Smart TV. In nice working condition. Does not have app or WiFi functions. Has 4 HDMI connections and 1 USB. Includes Remote. LG 37" Commercial Unit With Remote. HDMI (2) and Component Jacks work. Units Tuner was not set up by commercial vendor. 2017 VIZIO SmartCast™ E-Series 60” Class Ultra HD HDR XLED, e60-e3 With Remote - Small Vertical Line. TV is in nice working condition. There is a small 2" Vertical Pixel line from top and 6" from RH side. Inputs: 4 HDMI and 1 USB. Vizio 4K UHD HDR LED Smart TV, 70" - E70-E3, With Remote - Vertical Line. TV is in nice working condition. Has a Vertical pixel line that runs the height of the screen approximately 25 1/2" from the RH side. Inputs: 3 HDMI and 1 USB. Element 50" Smart 1080p 60Hz LED HDTV - Black (ELST5016S), With Remote - VERTICAL LINE. TV is in nice working condition. Vertical line runs the height of the screen about 15" from RH side. Inputs: 3 HDMI and 2 USB. Built in WiFi. Element 50" Smart 1080p 60Hz LED HDTV - Black (ELST5016S), With Remote - VERTICAL LINE. TV is in nice working condition. Vertical line runs the height of the screen about 17" from LH side. Inputs: 3 HDMI and 2 USB. Built in WiFi. VIZIO 70" Class E-Series 4K (2160P) Ultra HD HDR Smart LED TV (E70-F3) (2018 Model), With Remote...Vertical Line? VIZIO 70" Class E-Series 4K (2160P) Ultra HD HDR Smart LED TV (E70-F3) (2018 Model), With Remote...Vertical Line? TV is in very nice working condition. My techs tell me there is a ertcal line approximately 19" from LH Side. To be honest, I could not see it. You really need to inspect before bidding. Inputs: 4 HDMI and 1 USB. VIZIO E-Series 50” Class LED e500i-a1 - Older Model - Non Smart TV. Small Scratches on Screen (Not into Film), With Remote. VIZIO E-Series 50” Class LED e500i-a1 - Older Model - Non Smart TV. Small Scratches on Screen, With Remote. In nice working condition. Does not have app or WiFi functions. Has 4 HDMI connections and 1 USB. VIZIO E-Series 50” Class LED e500i-a1 - Older Model - Non Smart TV. 6" Horizontal Scratch on top of Screen, With Remote. In nice working condition. Scratch is approximately 2" down from top and starts 11" from RH Side (runs 6") Does not have app or WiFi functions. Has 4 HDMI connections and 1 USB. VIZIO E-Series 50” Class LED e500i-a1 - Older Model - Non Smart TV. Small Cat Scratches On Screen, With Remote. In nice working condition. Scratches (3 light scratches) are mainly in center of screen and are about an 1" long Does not have app or WiFi functions. Has 4 HDMI connections and 1 USB. VIZIO E601i-A3 60-inch 1080p Razor LED HDTV, With Remote - Vertical Line, Cut and Scratch, Spots, No Apps/WiFi. TV has some issues Mainly on LH Side. 4" Cut in upper corner through film, Scratch underneath about 6", Vertcal Line found 16" from LH Side. And slight spotting about 3 small faint areas. Please inspect before bidding. Would make a nice game monitor. TV otherwise is in nice working condition. Inputs: 4 HDMI, 2 USB. VIZIO E601i-A3 60-inch 1080p Razor LED HDTV, With Remote - Small Scratches, Spots across bottom, No Apps/WiFi. TV has some issues Mainly on bottom with spots and shading (about 11 Dime size, Hard to see when picture is in full view) also has some very small scratches in upper corners. Please inspect before bidding. Would make a nice game monitor. TV otherwise is in nice working condition. Inputs: 4 HDMI, 2 USB. 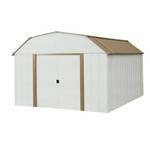 Arrow Dakota 10 ft. x 14 ft. Steel Shed. DK1014. New in Box, Needs Assembly. Doors pull apart to open and provide a 55-1/2 in. width to accommodate riding mowers and ATVs. 7 ft. inside center height. 852 cu. ft. storage capacity. Doors are lockable. 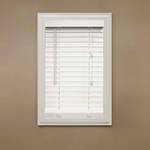 Glass Panels Only For Dreamline Enigma-X 44 in. to 48 in. x 76 in. Frameless Sliding Shower Door, SHDR-61487610-07. Never installed and in nice condition. Reversible for a right or left door opening. Walk-in opening: 16 - 20 in. 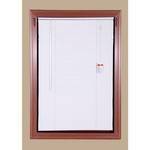 Consists of a stationary panel and sliding door. Model size: 44 - 48 in. W x 76 in. H. Again you are only bidding on the glass panels. Delta Simplicity 50 1/8" x 60" Tall. Semi-Frameless Contemporary Sliding Bathtub Door Glass, 810586. Fits doors with an opening minimum/maximum of 50-1/8 in. to 58-1/2 in. (127 cm to 149 cm), with 58-3/4 in. (149 cm) of height - Clear glass panels only. Husky 60 Gal. Stationary Electric Air Compressor, C602H - Runs Well, Broken Fan and Gauge. Husky 60 Gal. Stationary Electric Air Compressor, C602H - Runs Well, Broken Fan and Gauge. For parts or restore. CFM at 40 psi is 13.4 and CFM at 90 psi is 11.5. Large capacity, 60 Gal. ASME tank with 155 max psi provides more air for longer run times on air tools such as ratchets, impacts, spray guns, hammers, etc. 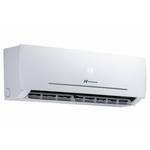 It should be connected to a power supply that is 230-Volt, 60 Hz, AC only (normal household current). 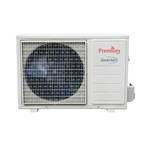 Diamond NOW Wintucket 23-in W x 93-in L Truecolor Cloud Cabinet End Panel in Gray G15 PA4836. Some Cracks along edges. Cut to any desired length on project site. Style Selections 7.59-in W x 4.23-ft L Fireside Oak Embossed Wood Plank Laminate Flooring, D2749 - 2 Cases. Each case covers 21.44 Sq. Ft.
STAINMASTER 10-Piece 5.74-in x 47.74-in Washed Oak- Cottage Luxury Locking Vinyl Plank Flooring LWD8502CCF - 2 Cases. Each case covers 19.03 Sq. Ft.
2 Cases (4 Lights/Case) of Commercial Electric 6 in. 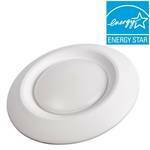 Soft White Recessed LED Can Disk Lights, CE-JB6-650L-27K-E26-2. New in Box. You are bidding on 8 lights total. The Disk Light can be installed in an existing 6 in. recessed can or wherever a 4 in. junction box is installed - making it extremely versatile for both retro-fit and new installation. Fully dimmable. To be used indoors and in an outdoor enclosed settings, perfect for kitchens, hallways, bathrooms, closets, laundry, porches and garage work rooms.